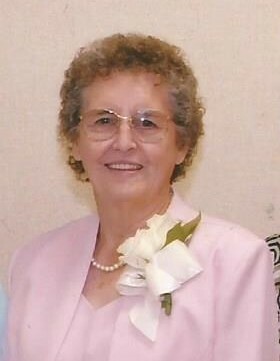 Nonny Melvina (Keller) Martin, 89, of Locust Grove, formerly of Dowdy, passed away Thursday March 21,2019. She was born February 18, 1930 to Frank and Millie Keller. Nonny loved the Lord Jesus Christ, which was evident by the way she loved and devoted herself to her family, working alongside her husband through 60 years of marriage. She enjoyed gardening and being outside. She is preceded in death by her parents, her husband H.B. Martin, and her granddaughter Laura Duncan. She is survived by her daughters Janice Clayton (Roddy), Linda Duncan (Larry), Phyllis Barnett (Junior) and Beth Walters (Randy), her brother Jimmy Keller, and her sisters Viola Moody and Mary Peabody, 10 grandchildren and 13 great grandchildren. Visitation will be Saturday 1-2PM with a 2PM service at Willis Funeral Service in Batesville, AR, followed by interment at Philadelphia Cemetery, Dowdy, AR.